Check out some of our recent projects that we are honored and proud to share with you. At WAU we are lucky to have a pretty talented, eclectic crew! We have artists and designers, skiers and snowboarders, and coincidentally: a bunch of musicians. 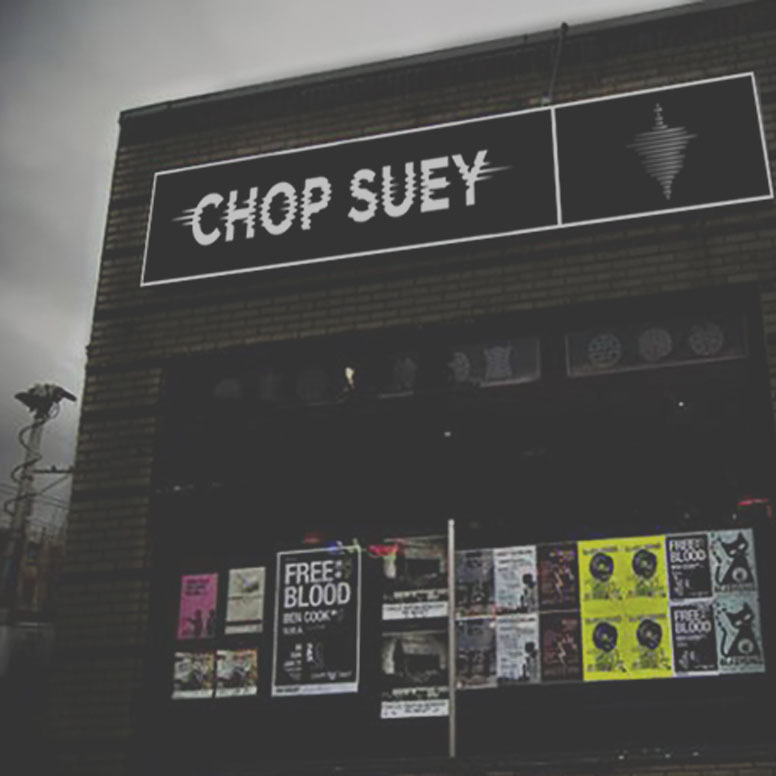 Between performing at shows or going to see shows, Seattle based Chop Suey is a place many of us have frequented over the years. Over the summer, we were approached to help with a branding and Kickstarter project for a new surf-focused motel and campground on the WA coast. What was unique about this project was not only how it filled the gap of modern conveniences and amenities currently missing on the coast, but the inclusive community vibe and emphasis on helping the local economy that came along with it. We always try upon impress to our clients the importance of working with us to develop a complete marketing ecosystem: website, social media, photos, video, and copy. As all of these elements are interconnected and impact each other, it’s important to ensure that each are considered and built with the other in mind when they are being developed or produced, and never in a silo. (read more about ecosystems here). Plants, animals, water, and us humans are all connected through an important and intricate ecosystem. Remove a species of plants and a species of animals will fail, poison the water and we’ll all have a hard time. We Are Unicorns had the opportunity with the American Mountain Guides Association (AMGA) to help with their strategy for their April Fools day video campaign. This would be the first campaign of its kind for AMGA so they wanted to make sure that they were set up for success.